Embody the spirit of Fortnite this Halloween by picking up officially licensed gear at Spirit Halloween and Spencer's. 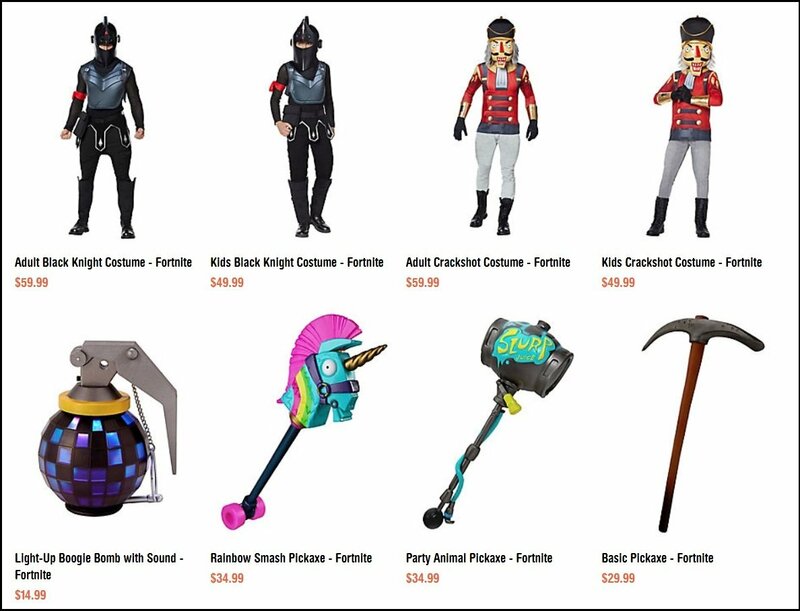 Today, it was announced that Spirit Halloween and Spencer’s are partnering with Epic Games to release a variety of officially licensed Fortnite items, including costumes. Additionally, Fortnite fans can look forward to accessories, replica weapons, and other assorted gear in the new collection. These Fortnite costumes and accessories will be available at both Spirit Halloween and Spencer’s locations, and will be available for purchase online. 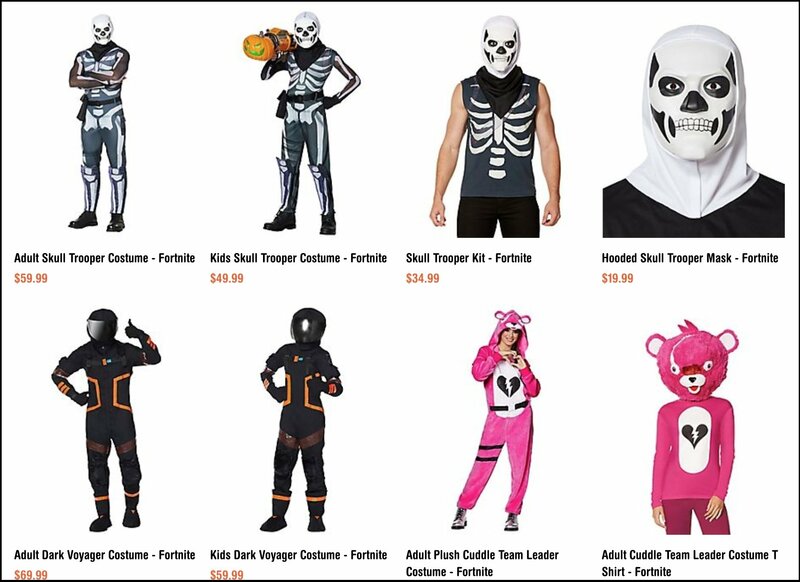 As you'd expect, the Fortnite costumes come in all sizes for both children and adults, men and women. There are early pre-order launch plans in the works for SpiritHalloween.com and SpencersOnline.com, so if you want to grab a Fortnite costume or accessory before it’s sold out, we recommend hitting up both sites. Alternatively, the Fortnite costumes and replicas will hit Spirit Halloween and Spencer’s stores around Labor Day (September 3), giving you plenty of time before Halloween to perfect your real-life Fortnite look. What do you think of the news that Spirit Halloween and Spencer’s will be selling Fortnite gear this year? Are you looking forward to picking up some loot, or do you have other costume plans this year? Let us know your thoughts down in the comments below!